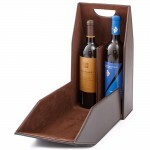 Mahogany 4-Bottle Wine Tote (P/N PSL-704). The wine tote features a hard Mahogany leatherette exterior with a suede-lined interior. Handle cutouts with a snap closure keep the bag closed. This stylish and handy wine tote folds flat for easy storage when not in use. 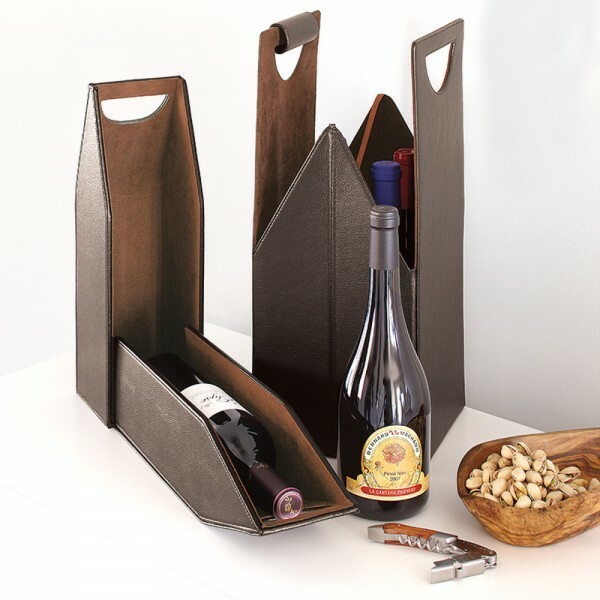 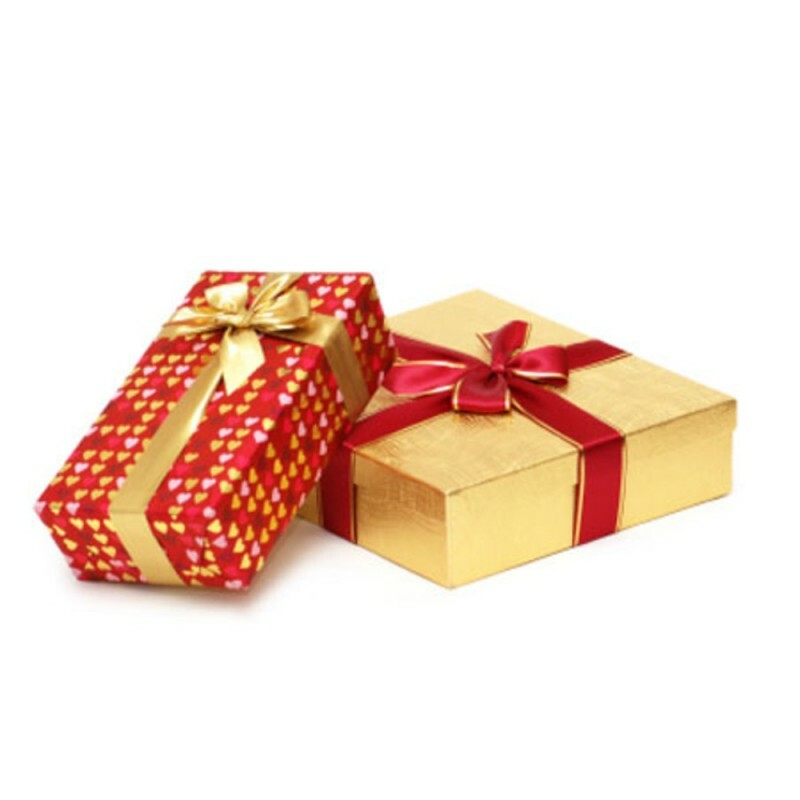 18 1/4"H x 7 1/2"W x 7 1/2"D.
Whether you're heading to a picnic, concert, or a friend's house for dinner, your favorite wines will arrive safely and in style with our Mahogany 4-Bottle Wine Tote.